However, the used, abused, and trashed 4.0L WJ Grand Cherokees with worthless resale use the same style PDC. The eBay sellers just cut the harness off. $30 shipped for a bunch of factory fuse and relay terminals with wire leads in durable plastic packaging. The same goes for the ZJ. Its PDC terminals should work for late XJ and early TJ as well. I would go cut one out from the local junkyard, but the LKQ people there will either charge me $10 or $100 depending on their mood for the day. Personally I prefer using 97+ / early TJ type because of the empty slot on the left side. you could put a bolt there and run a mega fuse in place. Helps to to protect the circuits also. But I admire all your work on the LJ and the MJ. Keep it up. In this case I do need the entire PDC. Just the fun bits inside! I might be contacting you later for some custom cables. 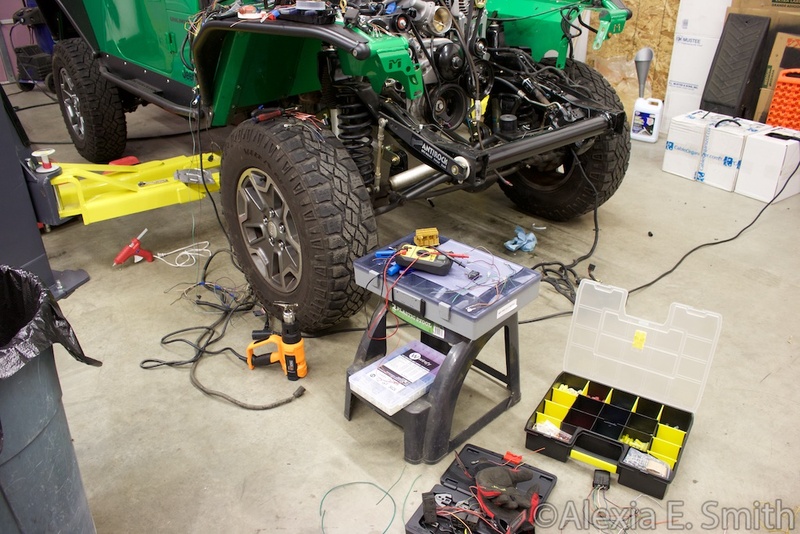 The stock TJ battery cables work for most of the positive hook ups. Going to see what I can salvage from the Camaro battery harness later. Today started off by harvesting PDC terminals from a very durable and very fancy shipping box the eBay seller used to send me them. 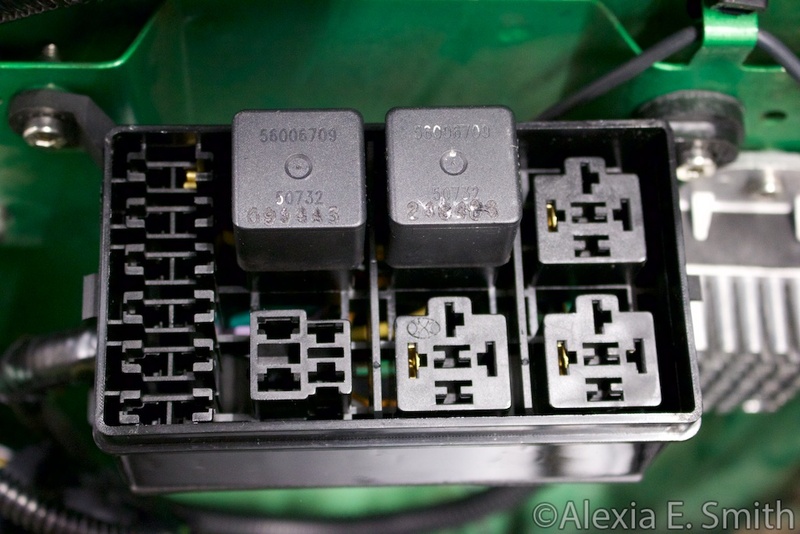 I did use the extra four slot relay holder that came with the WJ PDC to add into my LJ's PDC. The first three I have populated with a common positive relay trigger off the ASD output that feeds the stock injector fuse. 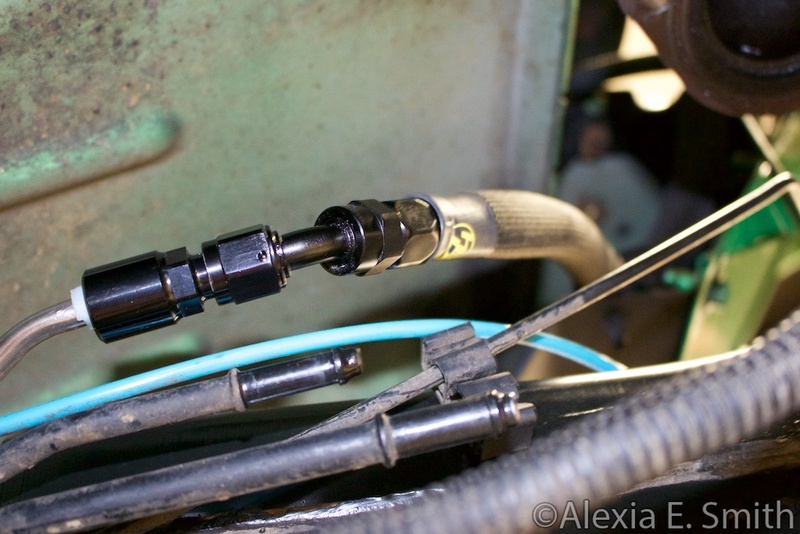 Which will no longer supply the injectors or ignition coils. 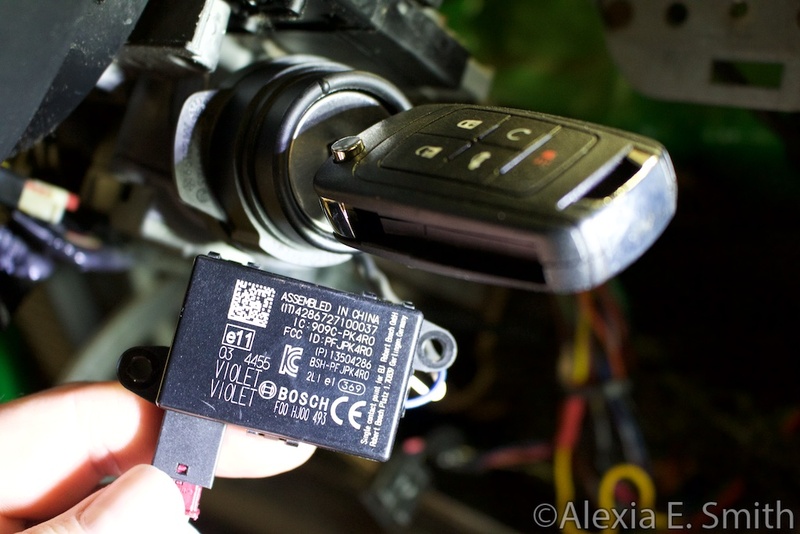 The injectors/ignition coils even, injectors/ignition coils odd, and something else relays will be triggered by the ASD this way similar to the GM PDC. 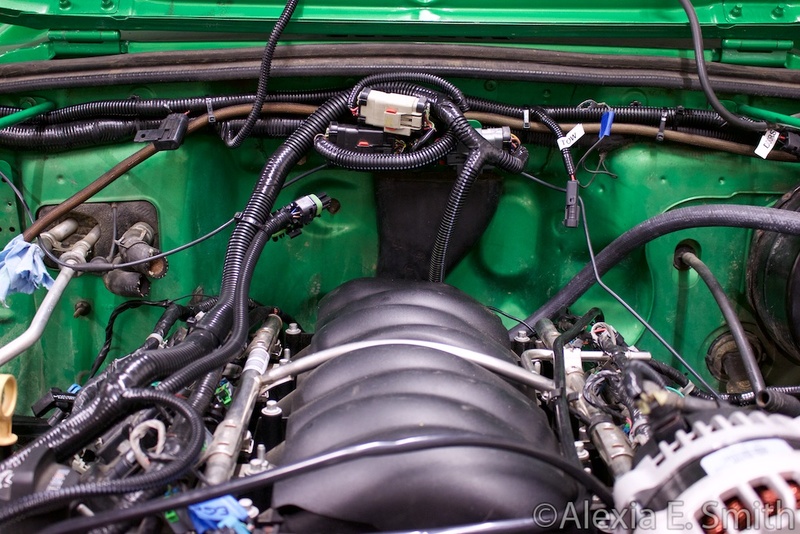 I had to go this route since the stock 4.0L setup was inadequate for going from three ignition coils and six injectors to eight ignition coils and eight injectors. The power wiring will come in a bit once I get other bits of wiring in place. Also, those terminals with multiple terminated wires are from the WJ's windshield wiper relays which are very handy for this. 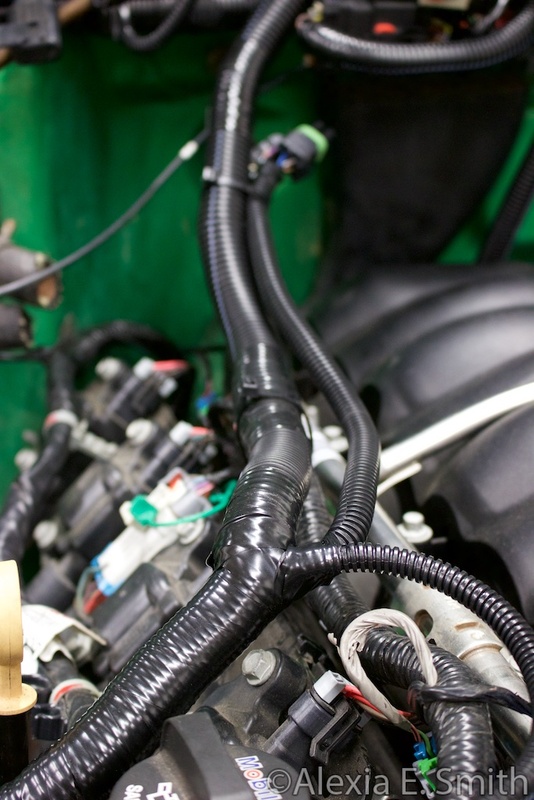 According to my calculations I finished exactly 50% of the necessary engine harness connections today. 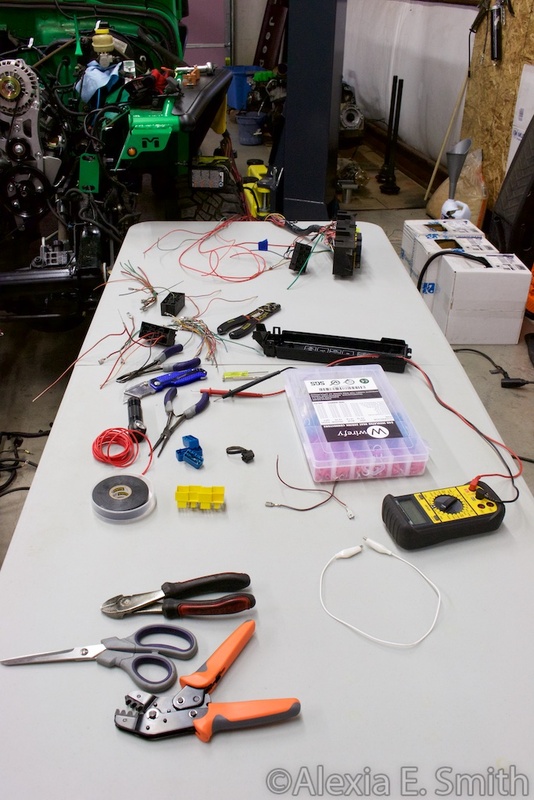 There are a lot of tools and supplies that go into making a high quality wiring harness. 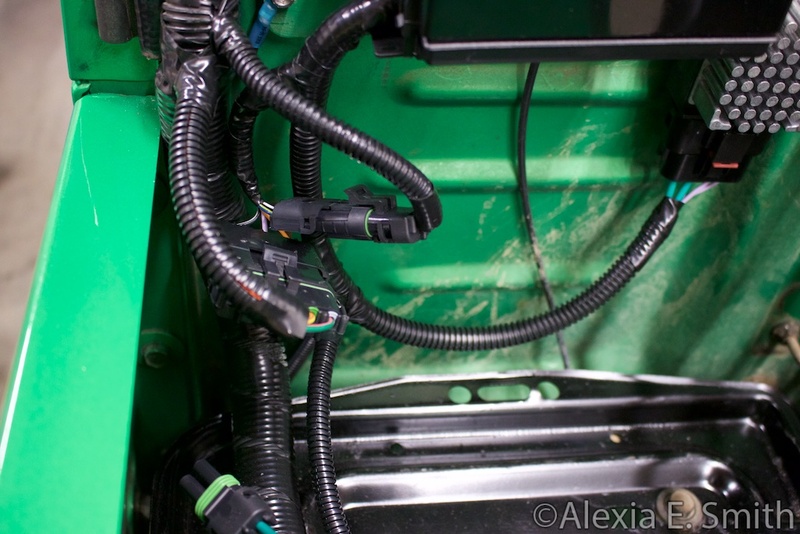 Shown here is the completed 6-pin Metri-Pack connector for the Accelerator Pedal Position(APP) Sensor, 5-pin data/bus Metri-Pack connector, and the start of splicing in the C104 Grey Jeep 4.0L engine harness connector. 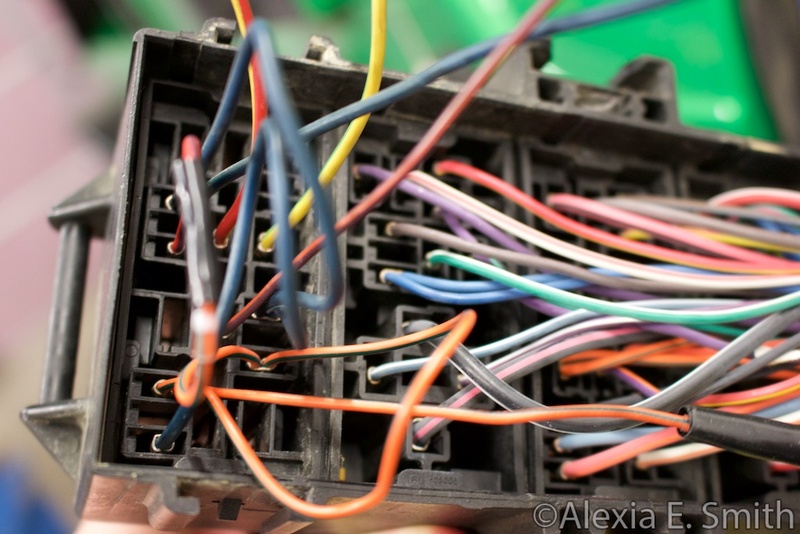 If you are wondering if I shortened then spliced the same wires back together the answer is no. 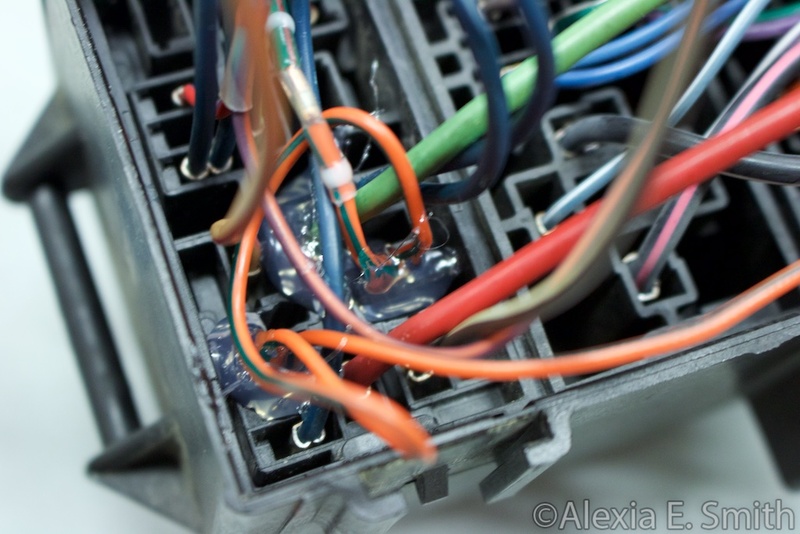 Apparently there are a lot of common wire colors shared in the industry for certain functionality. Nice work. 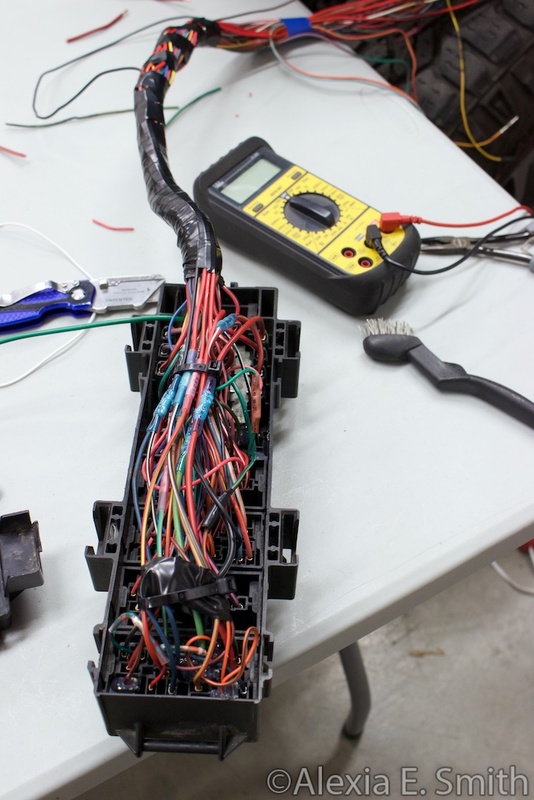 Spending the time on Electrical = Reliability. Worse thing in the world is chasing electrical gremlins!! 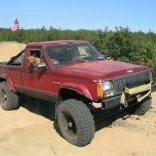 GM has a social media email that can be used to request build sheets. I got one back for the Camaro this drive train came from. What I needed to know was if it had the "BTV" option which means remote engine start. It does and all I need to make it work is the remote keyless entry receiver I previously purchased and the correct remotes. The OEM like remotes from China are only $10 each and do not have any pesky dirty GM logos on them. Thanks! 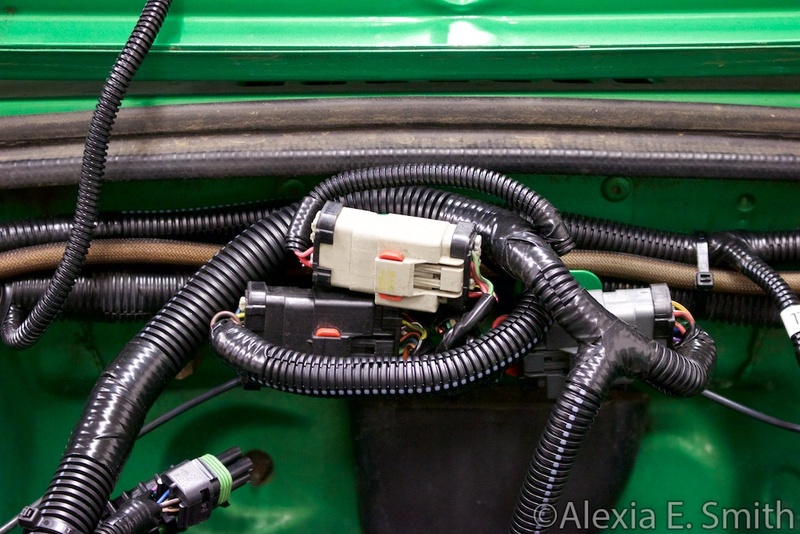 I am guessing I am about 90% on the engine wiring now. 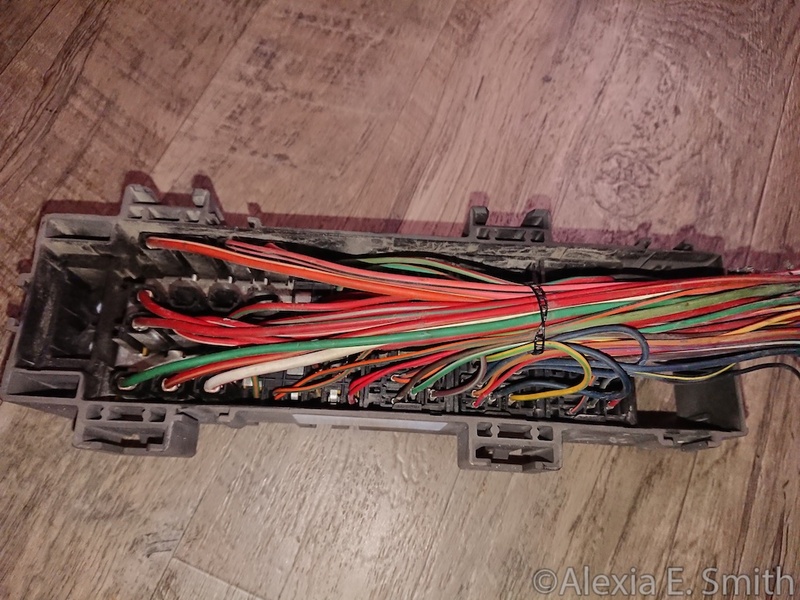 I started on the BCM wiring diagram today too. I have spent so much time on this and keep making dumb mistakes like crimping the wrong gendered terminal on a wire. My brain is mush. Most of the time was trying to figure out where to repurpose fuses and add fuses with the empty slots. 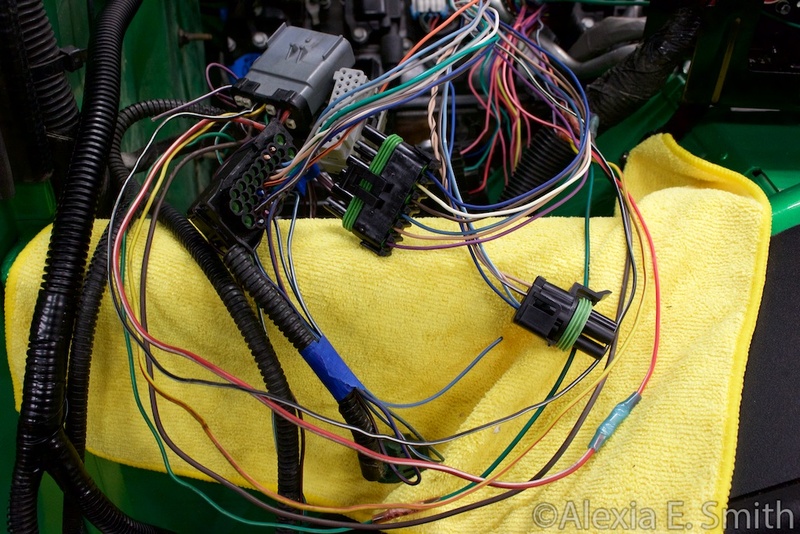 The Chevrolet Camaro wiring diagrams dictated that I needed about four additional fuses added. It also had a bunch of dumb stuff like a twenty foot wire run from the trunk to the ECM under the hood with 18AWG from a 20A fuse. I added a bunch of wires and repurposed some. 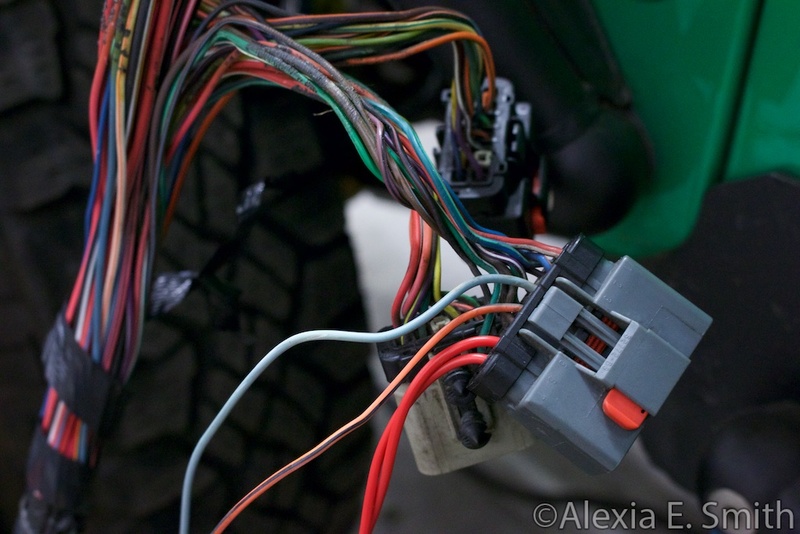 I am really trying to keep this wiring looking stock as much as possible. 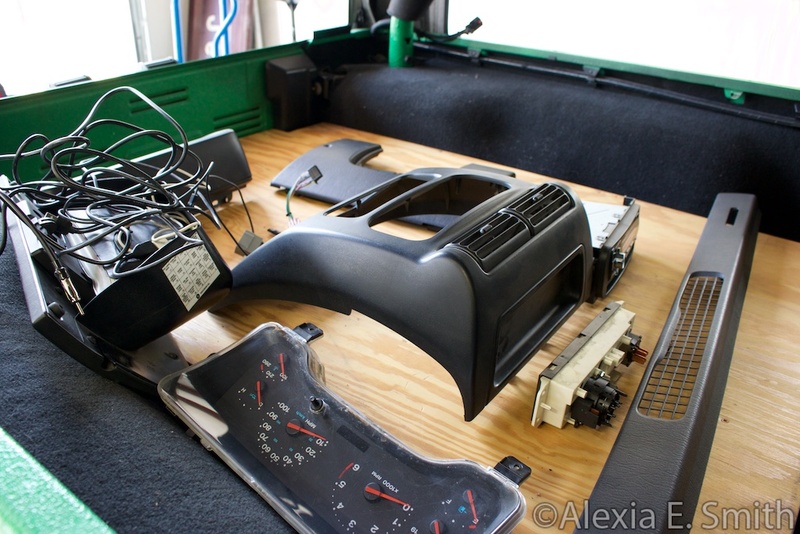 So I ripped apart the dash body harness to change up wires. 2x 20A power leads for the ignition coil/injector banks. 2x Relay controls for the fans. Eventually I remembered that I owned two folding tables that I could use for holding things. 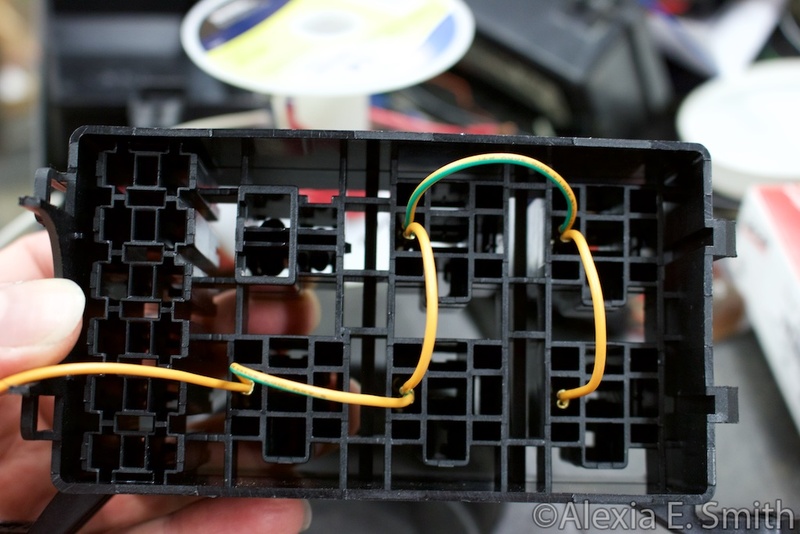 Despite being super careful the tabs in the PDC that hold the terminals in place are just too brittle. My LJ's PDC is in great condition compared to the brittle WJ PDC I tore apart, but I still broke a bunch of tabs. High temperature high adhesion hot glue to the rescue. A bit of improvising with spare terminals with crimped leads. I need a 7.5A mini fuse and some various J-Case fuses in sizes I do not have, but otherwise this is the populated PDC. The top empty half ISO relay slot you can see through the holes to inside. However, I did populate the positive side of the trigger with an ignition power source so it is ready to be used for something if I ever need it. 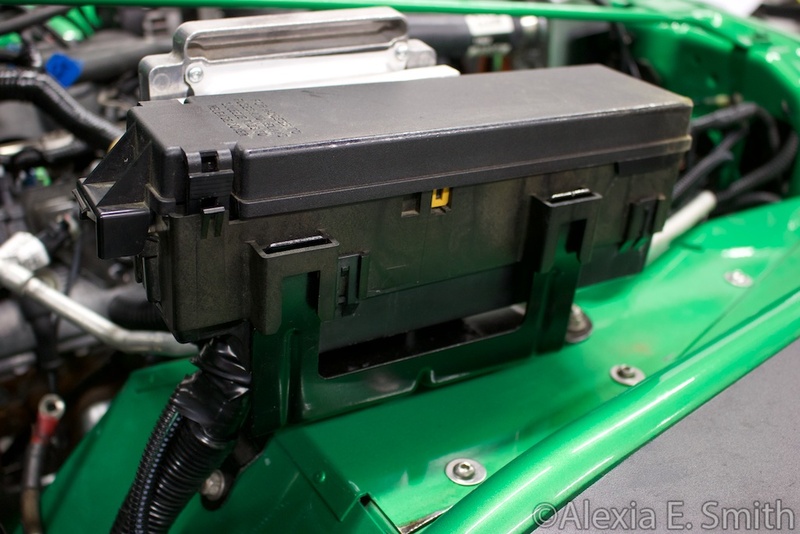 The "O2 Rear Heater Relay" in the slot below is removed since it will no longer be powering anything. Lots of painful work right there, looking very good! That is some good work there. The joys of wiring make everyone brain go to mush I believe. If it fits, it shifts. I got the Savvy transfer case shifter to replace the Advance Adapters shifter I have that really only works with the stock drive train. 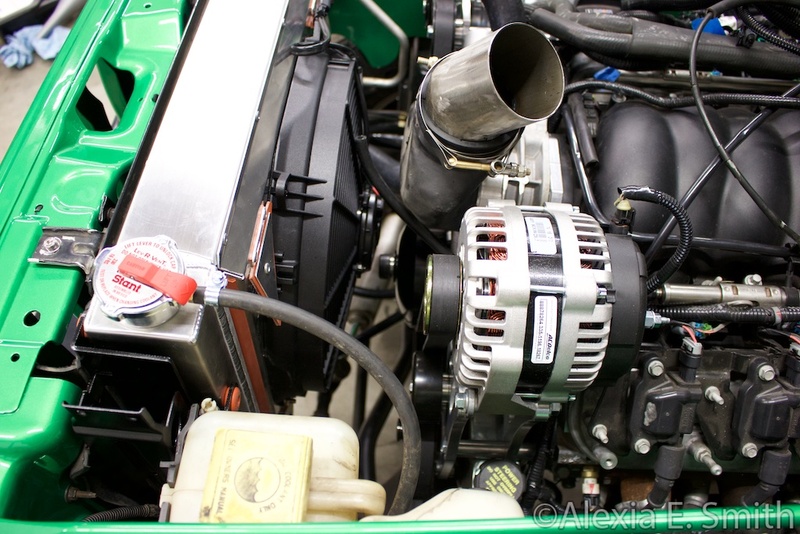 If the ears on the transfer case bracket were about 95º instead of 90º it would fit easily right out of the box behind a 6L80E. A small sledgehammer fixed that. I used every last thread adjusting the cable towards the front to line up both ends. 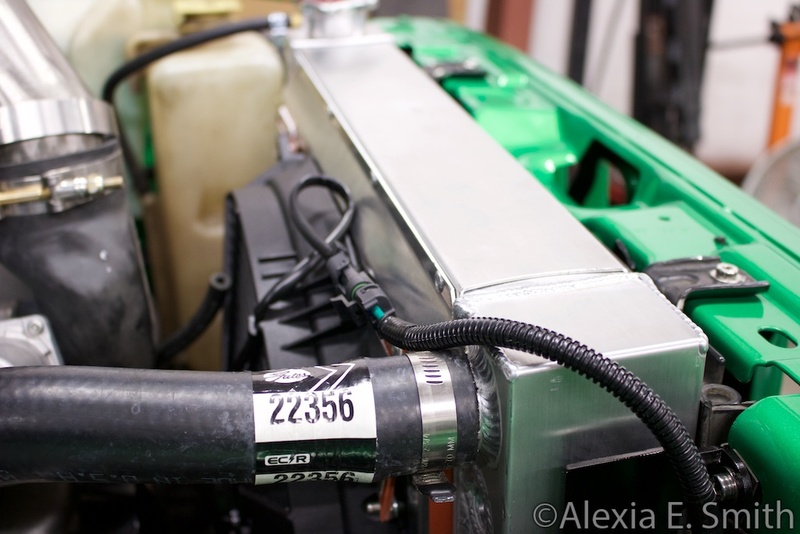 I ordered the fuel line parts to feed the engine and that was a pretty simple job to install. Emissions tubing will be done later once I find the Camaro diagram. Since I am running out of room in the stock PDC and I wish to add circuits for other things later I installed this auxilliary PDC that fits nicely above the battery. 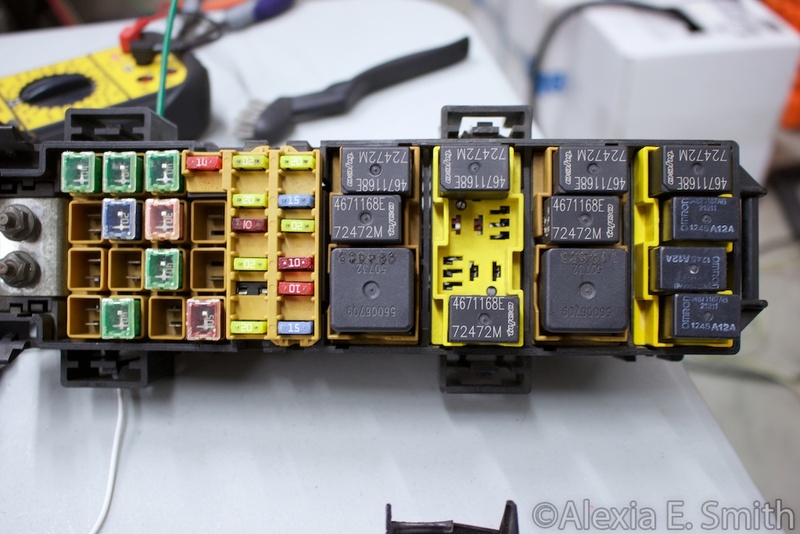 Five out of six relay triggers are all wired with ignition run/start power from the ASD relay output. The six pin Weatherpack connector also has a wire for ignition start output if I ever need that. 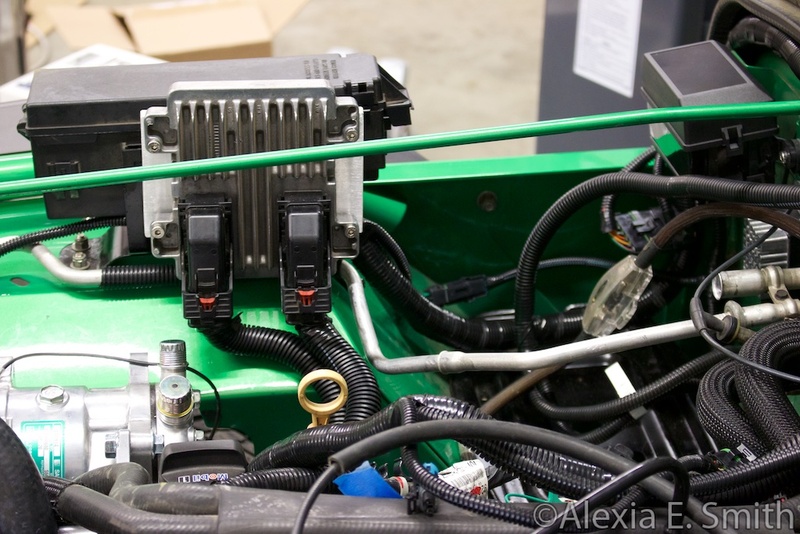 The first two relays includes one for a hard mechanical disconnect for radiator fan power and one for the lights on the rear gate. 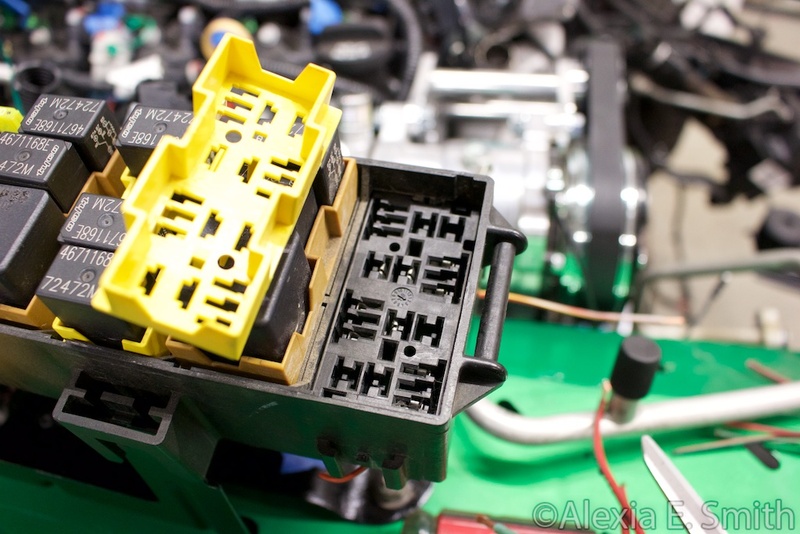 This huge relay is a Dorman 902-310 PWM fan relay used in other Chrysler products. I will be using it with the GM E38 PWM fan control to run the single 25 amp fan. Supposedly this relay is good up to 40 amps, but I can not find a datasheet on it. I wrecked my right arm installing the radiator. I can not pick anything up(pinching motion) without the outer fore muscles hurting. Also, this Novak radiator hoop has some rather annoying design flaws that would have been noticed if the designer of it ever tried to install it at least once. 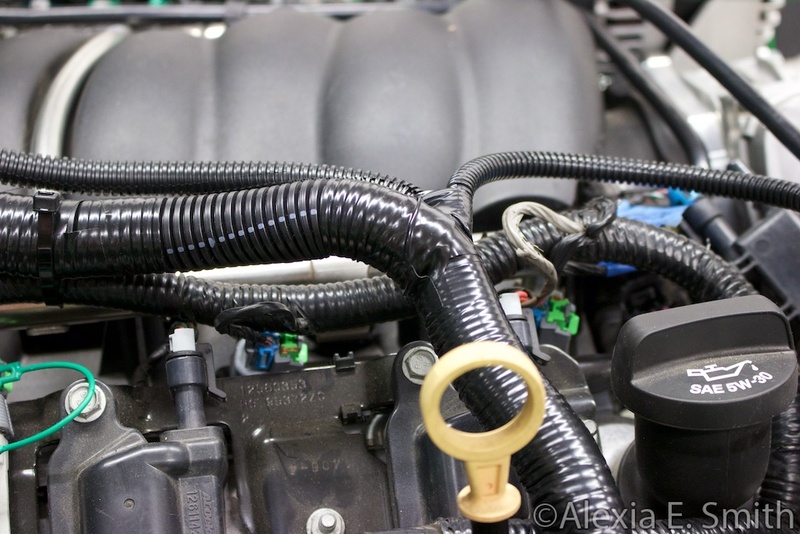 Minor shortening for both hoses. 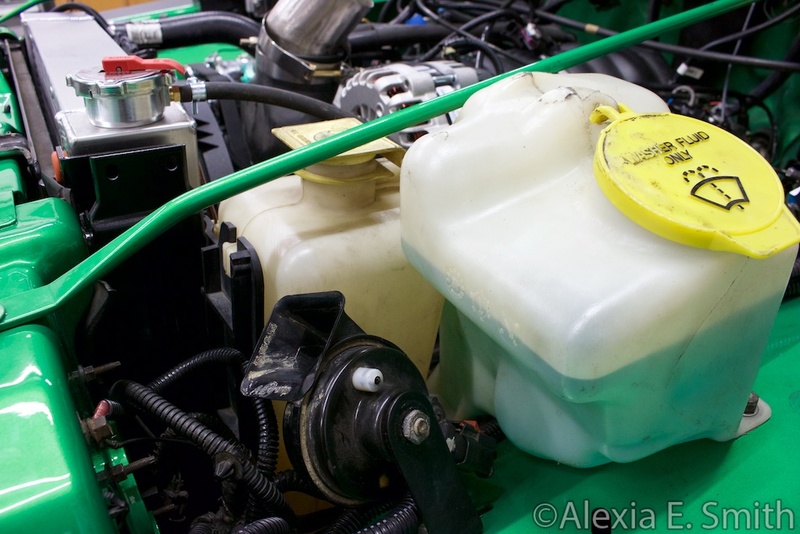 I still need to pick up the fitting for the steam hose. 1.) Unbolting the right side bracket off the 4.0L radiator. 2.) 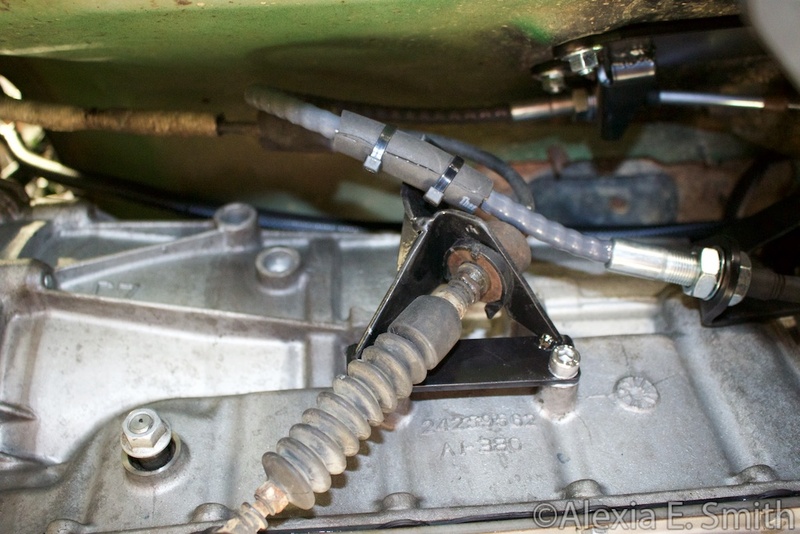 Shortening said bracket to not interfere with the steering shaft. 4.) Aggressively cut the bottle plastic bracket off the fan shroud. 5.) Drill some holes and bolt the plastic bracket to the metal bracket. Progress update: Nothing. I keep thinking my right arm is fine, but then I do something that basically sets me back to "ouch". So I am doing light duty mostly using the left arm and then earlier I had the drill catch twisting my left wrist like a pretzel before I could let go. I also had a wire wheel slip off and dig into my ankle through my sock a few days ago. The wire wheel incident prompted me to finally get around to building a welding table so I stop doing things on the floor between my feet. However, I checked Craigslist first and found a 4'x8' table for sale for only $500. 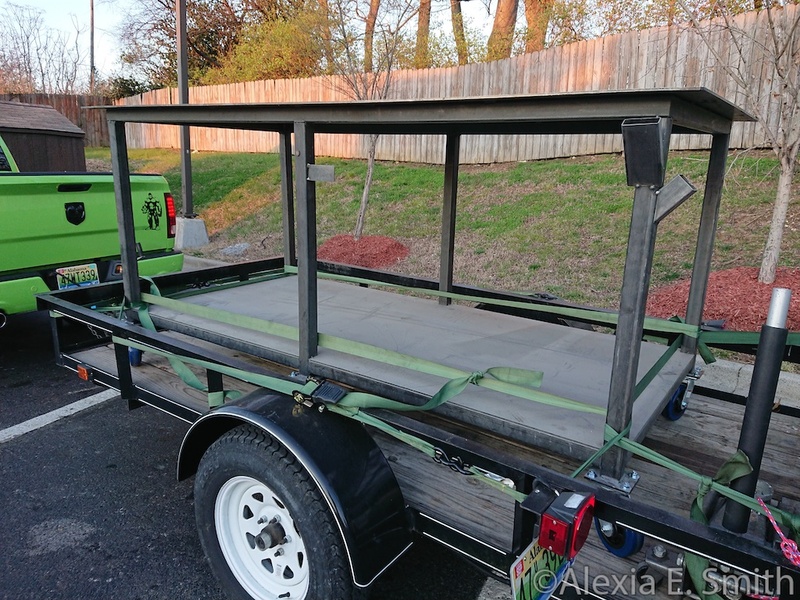 I arrived with casters, bolted them on, and rolled off with it back to my place. It is a bit tall for me with the wheels on so I will just have to get a new stool for the shop. 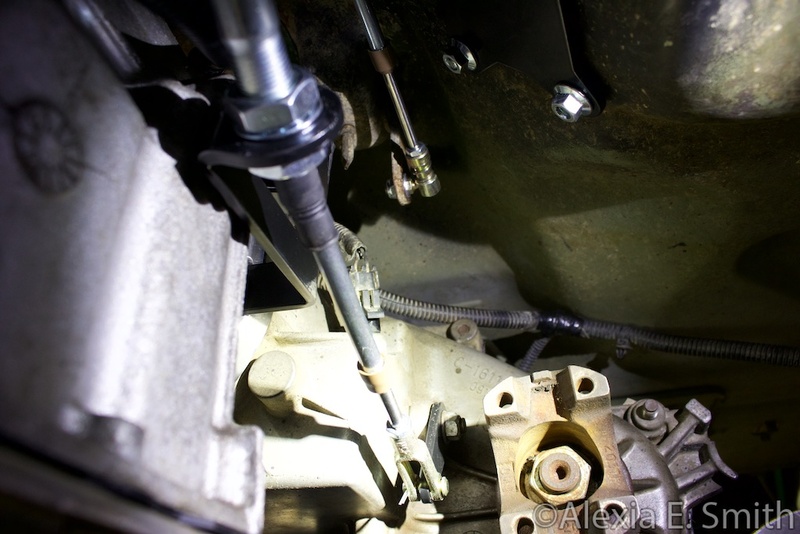 It took me very little time to use the new vise on it and the table to build a transmission shifter cable last night. I bought a new welder a few weeks ago and along with the new table stuff like this transmission shifter bracket was quick. Under side items will have to wait since I have started the wiring under the dash. 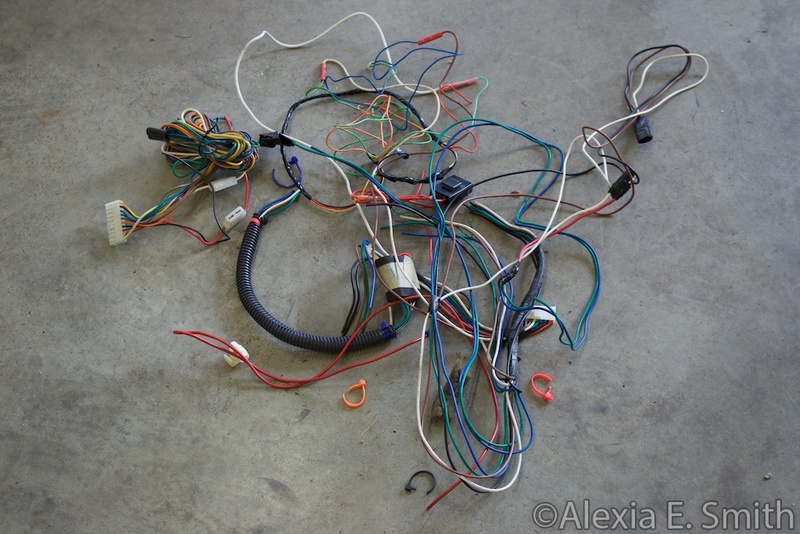 This is the pile of old wiring I did years ago for the power door locks, a security system that was there before I bought it, and now obsolete pieces. Then the bit I hide at the bottom of the post: GM flip key with a Jeep key blade cut to fit the flip key slot. 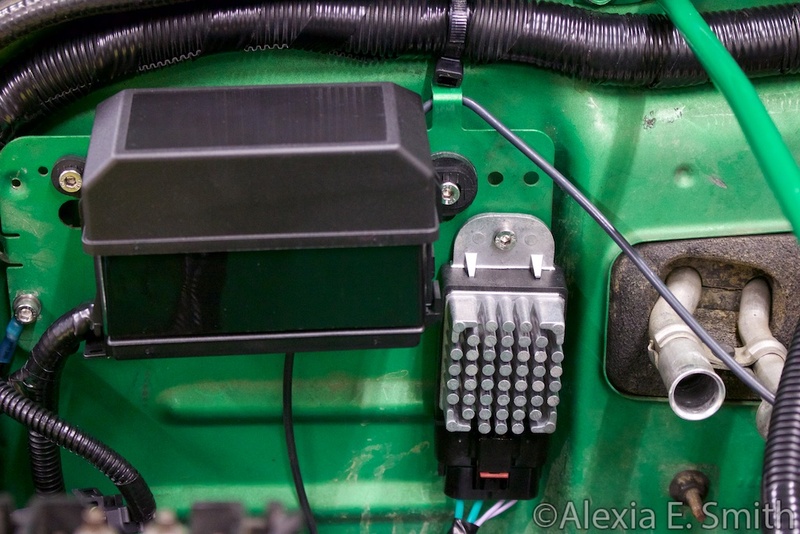 Also the GM VATS antenna so I can have the factory GM immobilizer, keyless entry, and remote start.